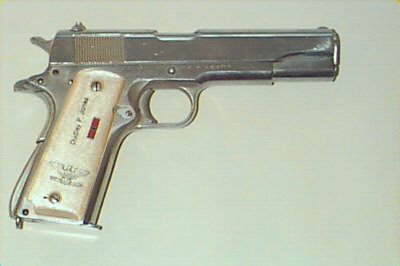 The Remington – UMC M1911 pistol was produced under the Colt license during World War I. Due to delays in Colt providing Remington – UMC with blueprints, production of these 1911 handguns did not start until 1918, with the first batch being delivered to the United States in August 1918. Production of these pistols ended in early 1919. Less than 22,000 pistols were made, and this is one of the more collectable 1911 firearms.